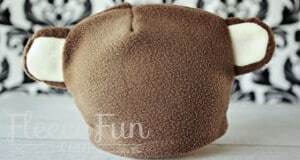 The first Halloween Hat pack is one of Fleece Fun’s most popular patterns – so I just had to add to the selection of patterns to this versatile and fun pattern! I’ll be adding new sections of this pattern throughout the month – so be sure to sign up for the newsletter and keep checking back as the instructions are added. You can subscribe to the newsletter by adding your email to the red box on the right. 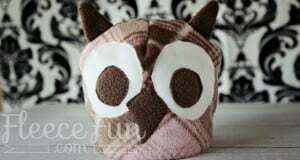 This adorable owl uses easy applique to make the large eyes and beak. Wearing this hat is a absolute hoot! Get the Free pattern and tutorial here. 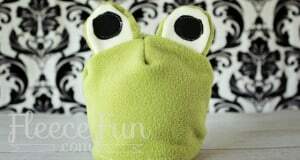 It’s easy being green in this hat! Get the Free Pattern and tutorial here. 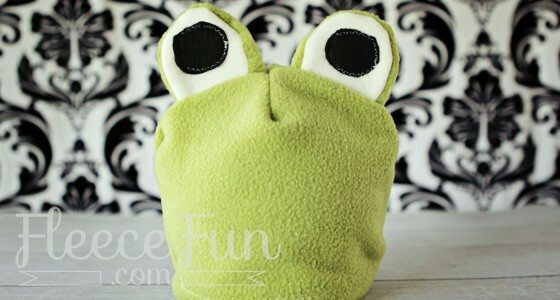 How adorable would your kiddo be in this hat. Get the free pattern and tutorial here. Be a lady bug or a bee in this cute hat. Get the free pattern and tutorial here. 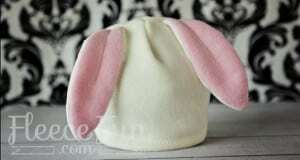 Hippety hop the night away in this hat. Get the Free Pattern here. Great for newborn picts. Get the free pattern here. I have to say that I am extremely frustrated for two days now, every time I have tried to download the files to make these adorable hats, and have clicked on the DOWNLOAD button for the the PDF files, which I thought actually contained the patterns, it only downloaded PDF files along with so many other nonessential “programs”. FRUSTRATION is running really high right now. What am I doing wrong, where are the actual patterns to download and why do you have a button for downloading a necessary? component which also downloads unnecessary programs? Please let me know where the actual patterns are to download. I have worked on this for hours yesterday and got nowhere and today I tried yet again with the same results. I am sorry for your frustration. 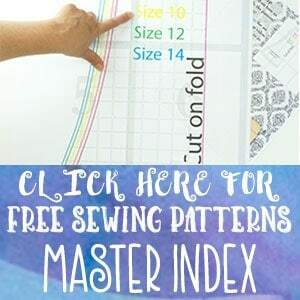 You need to click the pattern envelope (as it states beneath the heading download here – click the picture pattern envelope to download the pdf.) Click the envelope in the size you desire and it should bring you to the pdf. The pattern envelope is brown and has a picture of the project on it and states the size it is. Everytime I click on the pattern envelope it does not work? Do I have to down a program to use it? A little help here would be nice. There are so many optional setting on computers on how they interact with pdf’s it’s impossible to tell whats going on. Sometimes instead of opening they go straight to the download folder. Sometimes clearing the internet cache and trying again will fix it. As long as you have adobe pdf installed on your computer it should work. See how the setting are set for pdf in your browser or try a different internet browser and see if that helps. Absolutely adorable—how sweet of you to share the patterns. These go in my “someday I’ll be a grandma” file! Thanks again! I think it is strange that you do not allow pinning yet want people to follow you on pinterest. 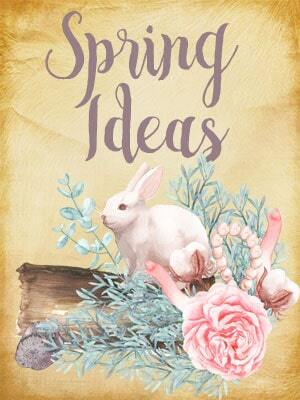 Cute designs but if I can’t pin them on my tutorial links it is hard to find when I want to use them… just saying…. You can pin – you just have to use the “pin it” buttons where they are provided. This is a way for me to control what people pin from my site. You can pin a beauty shot from every tutorial I offer – so you can easily get to it. I managed fine, thanks so much! But I have made the mistake before of clicking on the advertisement Downlaod Pdf boxes that are on this and other websites. Its spam of sorts I reckon and can be so annoying till you see what your doing wrong! 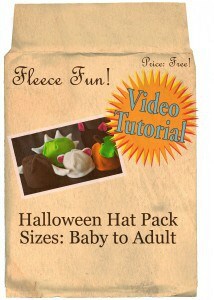 Hi – your “Halloween Hat Pack Baby to Adult pattern doesn’t open properly. It only takes me to another picture of the brown paper bag. When I click on that, the picture gets larger. There is something wrong with your link, and I’d really like to download the patterns. Thank you. you need to go to the individual pages to get the patterns. If you are talking about a specific pattern – let me know and I will try to fix it, but I suspect that you just need to go to the correct page and scroll down more. the download went out good for me. I clicked the envelope! Angel, I cannot thank you enough for the time and effort that I know goes into creating these patterns, putting them on the computer and making them free for us. And then on top of that, for letting people sell what they’ve made w/o having to purchase anything from you. Sorry that people seem to be giving you a hard time despite your gracious efforts! We are doing a craft sale at my church this Saturday to raise money for a building for our youth and you will be making it possible!! Thank you very much!!! Thank you for the great hat patterns. I made one of each of your hats for my 5 great-neices and nephews and took to them over Thanksgiving. They are all 5 and under. They had so much fun pretending to be the different animals. The cutest 2 year old boy wore the bunny hat (I made it in pink) everywhere and wouldn’t take it off. We were in Florida, so he got hot but kept saying I’m a bunny! What fun. Thanks for the patterns – they are so cute and so easy! I have been trying to download the Halloween patterns, but when I click on the pattern envelope, I doesn’t bring up the pattern, but just the picture. Help please. You need to scroll down further on the page to where it says “download the patttern here” and click on the envelope. I just checked and all the files are up and working. I have looked and looked for a few years for easy but fun hats for my two boys. As I was searching your sight, my 4 yr old was next to me and started shouting at the dinosaur hat. OMG I almost missed it!! I can’t wait to try these out for them. Some will tie in with their Halloween Costumes and the rest will just be for when ever they feel like adorning them. Thank You so much for everything you have shown. I am ready to sew some more. So happy that you’ve found me! Also – I’m releasing another hat pack tomorrow that I know your boys will love! This site is really amazing, congratulations! I need to make a badger hat, do you have any ideia of how can I make it? Thanks! Honey badger hat hmmmmmm. Maybe take the monkey hat from this hat pack and curve the ears more and place them lower on the sides of the head? That’s my best guess! Hi, I just love the look of all of your designs. I’d downloaded the hat pack one and three with no problem trying to figure out what I might be doing wrong. 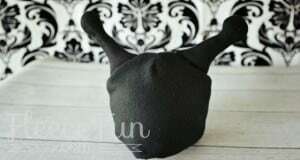 I really wanted the hat pack two as my God Son wants to be a snail for Halloween. I’ve spent a couple of hours trying everything to download the patterns for hat pack two, can you help please? I was going to make hats for the whole family for a fun Halloween gift. Any assistance would be greatly appreciated. I can’t wait to browse more and find another fun project. The patterns were not downloading without the .pdf being corrupted. I finally got them to save correctly by opening the pattern on the web and then doing a File>Save as. Then it saved the ,.pdf just fine! I used this pattern to make original Halloween costumes for my sons last year. One wanted to be Stitch from Lilo and Stitch, and the other wanted to be Sparky, Stitch’s yellow cousin. Where was I going to find a costume like that in a store??? So I took an old superhero costume, used it to make a pattern for a basic solid-color costume from fleece, and used this hat pattern to make matching hats. 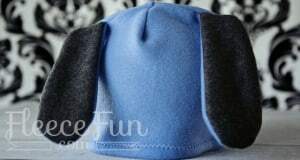 I used the dog pattern to make Stitch’s ears, and then I made fleece cone-shaped ears for Sparky. The kids LOVE their hats and will still wear them even without the costumes. I am so confused when I click on the envelope to download any pattern it just gives me a picture???? You need t click on the hat you want it will take you to that page – then click on the pattern envelope.